THE next Aldersgate Convention, from May 18-23, 2009, will be held at Barker Road Methodist Church, and will give emphasis to Wesleyan teachings on church and worship. 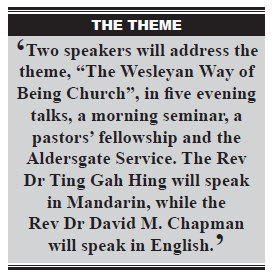 Two speakers will address the theme, “The Wesleyan Way of Being Church”, in five evening talks, a morning seminar, a pastors’ fellowship and the Aldersgate Service. The Rev Dr Ting Gah Hing will speak in Mandarin on the first two evenings, May 18-19, while the Rev Dr David M. Chapman will speak in English during the remainder of the week. 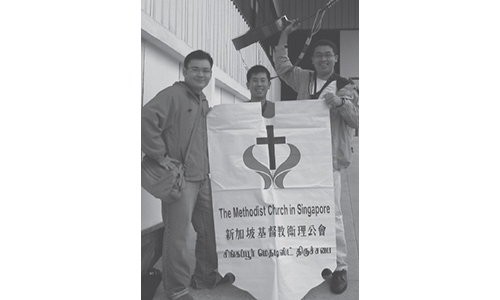 The Rev Dr Ting will speak on the topic, “The Way to Happiness: Wesley’s Theology of Worship”. His vision of worship is one of “unbroken fellowship with God our creator” and participation in the mission of Christ, which is to restore that fellowship. On the first evening, May 18, he will address the foundation of this “way to happiness”, which is “God’s unswerving commitment to humankind”, he said. It “lies at the very core of Wesley’s theology of worship”. It is for that reason, he said, that Christians commit themselves in worship to God. On the second evening, May 19, he will give emphasis to the person and work of Jesus Christ. “Christ’s primary mission is to restore that unbroken fellowship with God,” he said. Hence, the worshipping church, having the mind of Christ, shares in that mission. “We share our joy and happiness with everyone,” he said. The Rev Dr Chapman will speak from May 20 to 23, giving especial emphasis to John Wesley’s ecclesiology, the doctrine of the church. In his first talk on Wednesday, “The Wesleyan Way of Being Church,” he will show the importance of embracing certain tensions within our Wesleyan heritage. “John Wesley’s eclectic doctrine of the Church combines elements of Anglicanism, Puritanism, Pietism and Mysticism,” the Rev Dr Chapman said, adding that Wesley was especially interested in the early Church and its understanding of salvation. On the second evening, May 21, he will explore “The Ministry of the People of God” from a Wesleyan perspective and its contribution to contemporary Methodism. Methodism originated as a renewal movement by lay people “empowered by the Holy Spirit by virtue of their baptism”, the Rev Dr Chapman said, noting that after his Aldersgate experience “Wesley endorsed lay preaching, including preaching by women”. Even though it was lay-driven, Wesley ensured significant structure for the sake of discipleship and “retained a distinctive role for the ordained ministry”. On the third evening, May 22, the topic, “The Church as Community”, will focus on community aspects of the Church in contrast with the “individualism and consumerism that pervades post-modern Western culture”. While there has always been a “tension between public forms of religion and private religion”, the Rev Dr Chapman will show that Wesley intended the Church to be a “community of disciples helping each other on towards salvation”. Because of this, he said, “Methodist societies were intended to foster holy living by means of a disciplined Christian way of life”. All the evening talks will begin at 7.45 pm and end about 9.30 pm, and will be held at the Barker Road Methodist Church sanctuary. 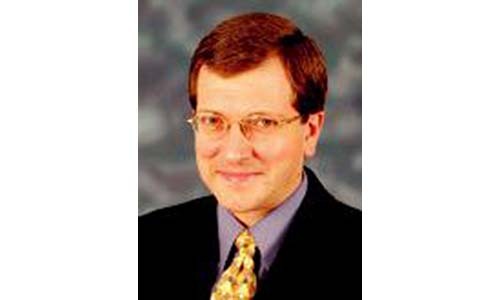 The Rev Dr Chapman will also address the topic, “The Wesleyan Experience of Worship” during a seminar on Saturday morning, May 23. Participants will reflect on Wesley’s desire for worship to be both “liturgical” and “extempore”. He said that John Wesley originally encouraged the British and American Methodists to adopt his Sunday Service of the Methodists, a revision of the 1662 Book of Common Prayer, with provisions for “extempore” prayer and hymn singing. The seminar will consider issues of inculturation with respect to contemporary and indigenous cultures, and the sacramental use of material things, such as anointing oil, candles, creative arts, music, images and dance, he said. The seminar will be held at Sophia Blackmore Hall on the 6th floor of Methodist Centre, from 9 am to 12.30 pm. Registration is required. The Rev Dr Chapman will meet Methodist pastors at the Pastors’ Fellowship on Thursday morning, May 21. 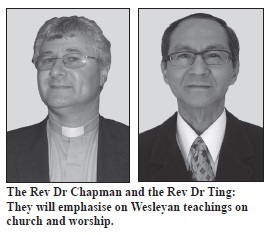 The topic will be “Ecumenism in Wesleyan Perspective”. Drawing on his own ecumenical experience in such involvements as the Joint Commission of Dialogue between the World Methodist Council and the Roman Catholic Church, he will encourage the pastors to adopt John Wesley’s “catholic spirit towards Christians of other traditions”. The Rev Dr Chapman acknowledges the many opinions about ecumenism and the diversity of approaches. 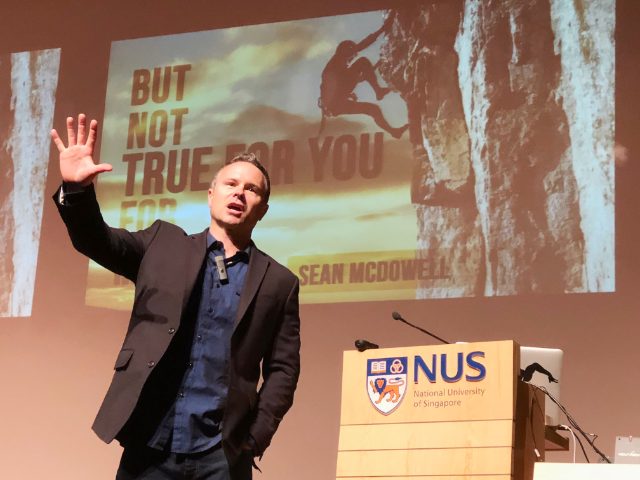 He himself will emphasise ecumenism as “an exchange of gifts between and among the different Christian traditions”, which could be helpful for those involved in dialogue between different traditions in Singapore. 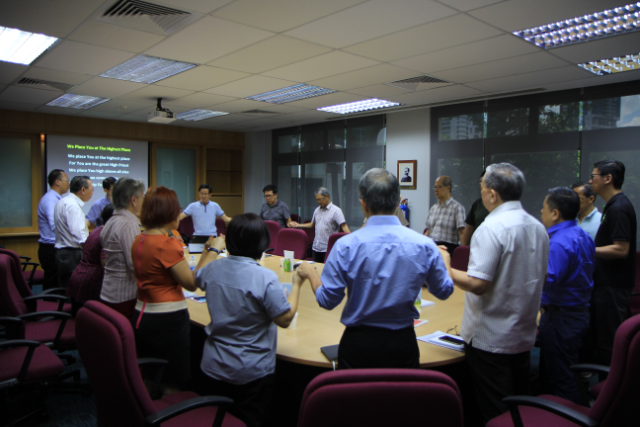 The Pastors’ Fellowship will be held at Sophia Blackmore Hall, from 9 am to 12.30 pm, followed by lunch. The Rev Dr Chapman will also preach at the Aldersgate Service, which commemorates John Wesley’s experience of assurance in 1738. The service will begin at 7.45 pm at Barker Road Methodist Church sanctuary. The Rev George Martzen is Minister Attached to the Bishop’s Office.